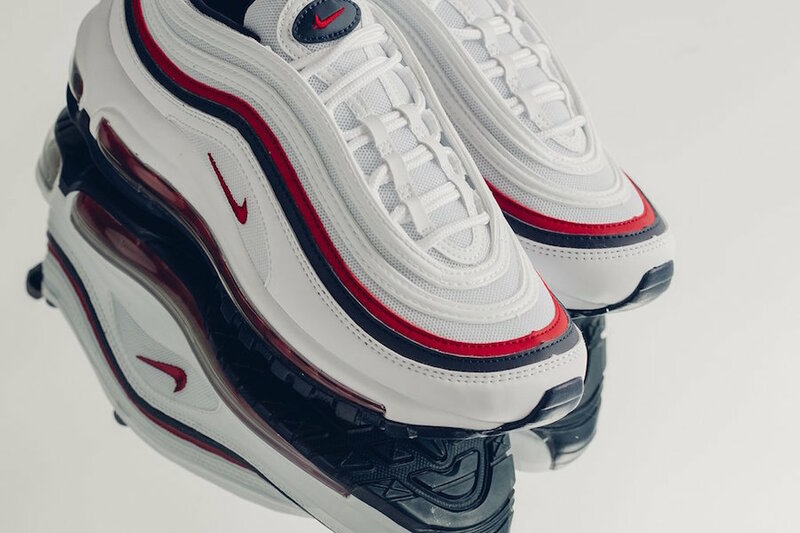 For the ladies, Nike Sportswear is adding onto their collection of Nike Air Max 97. 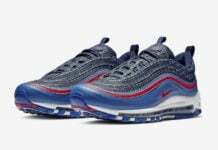 This women’s release feature a Red, White and Blue color combination. 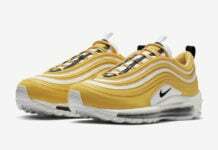 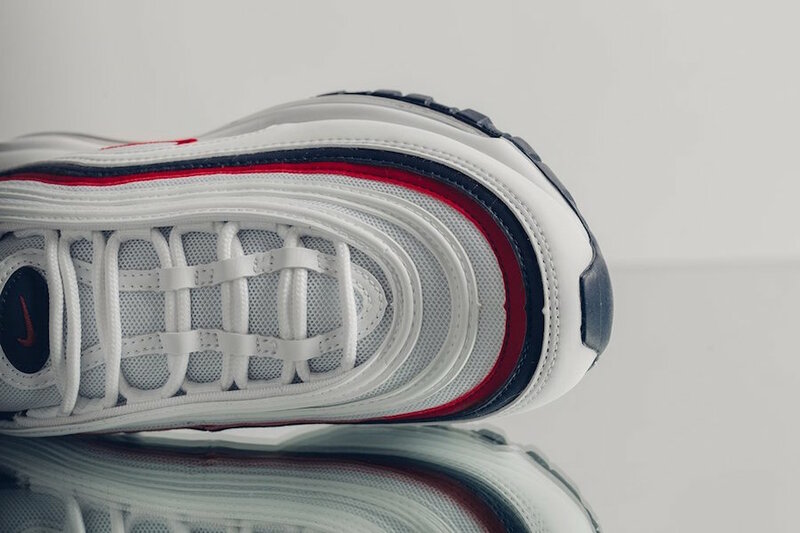 Looking closer this Nike Air Max 97 features 3M Reflective detailing accents, leather and textile placed on the upper along with a full length Air unit. 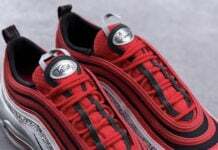 Finishing the look we have Black on the rubber outsole. 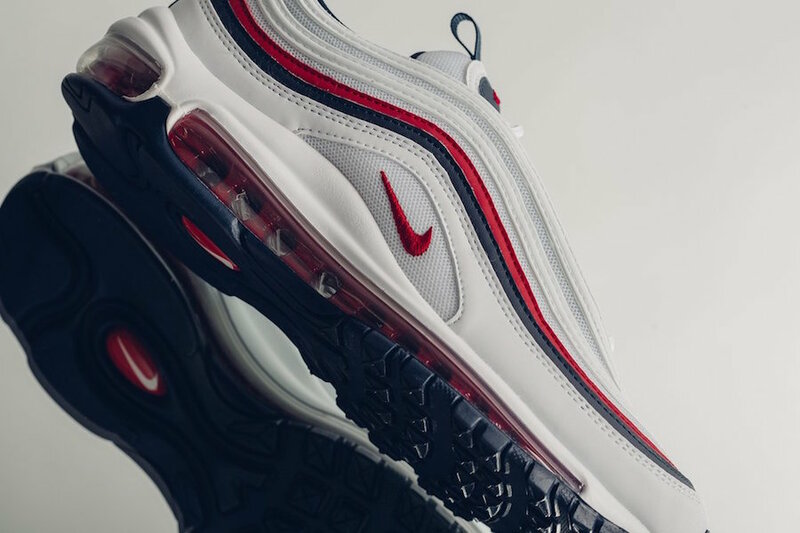 Continue to scroll below to check out more images of this Nike Air Max 97 in White, Red and Blue which will give you a better look. 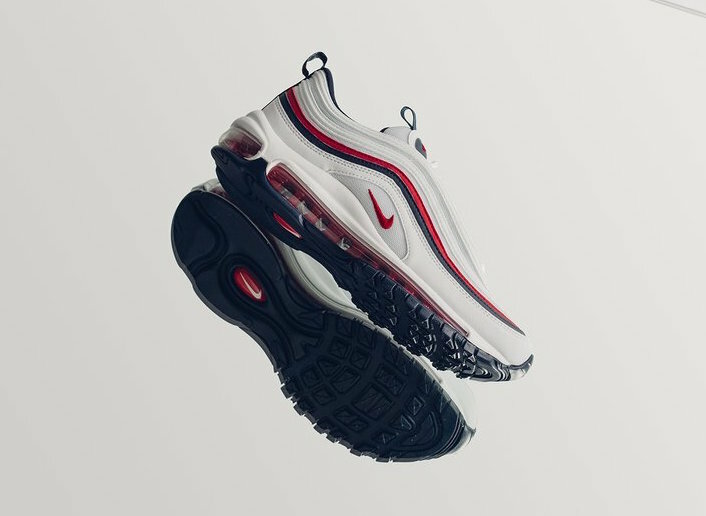 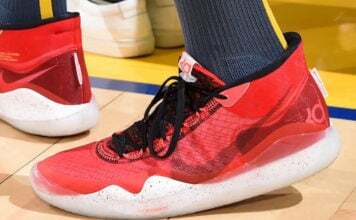 They are available now at select Nike Sportswear retailers including online at Feature for $160.